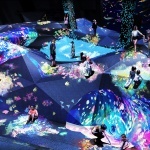 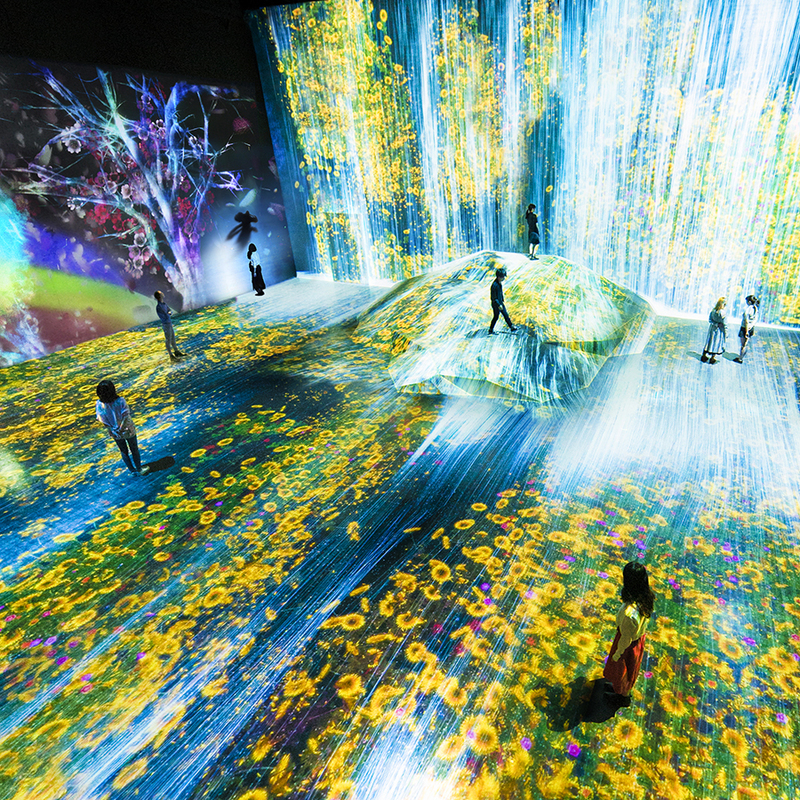 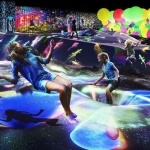 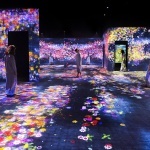 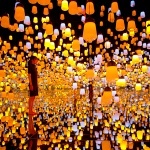 Tokyo-based collective teamLab is set to open its DIGITAL ART MUSEUM in Tokyo on June 21, 2018. 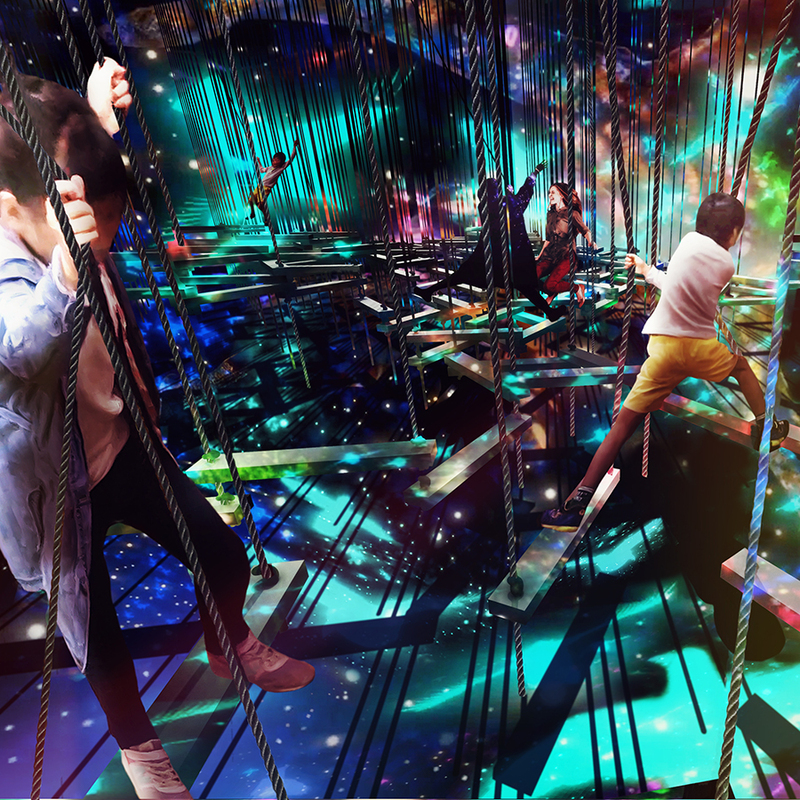 With the support of developer MORI Building, the museum will be the first in the world to exclusively feature digital exhibitions. 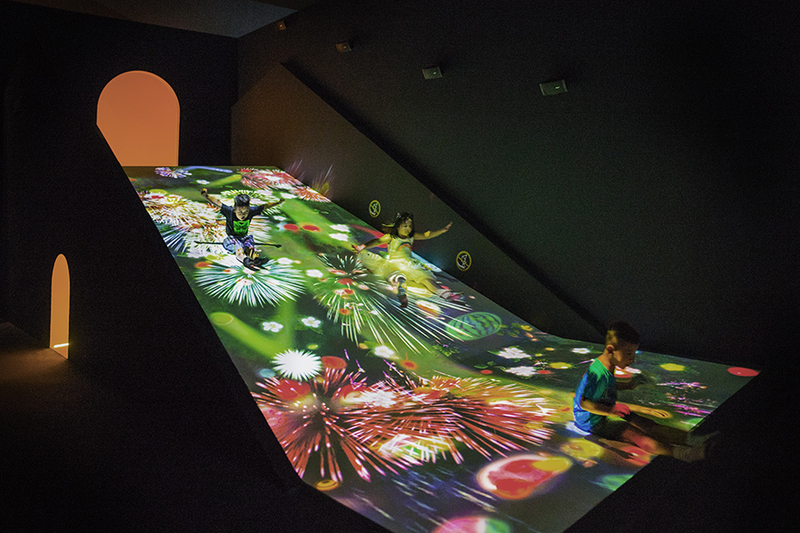 The sprawling 110,000-square-foot museum possesses a maze-like floor plan centered on five spaces. 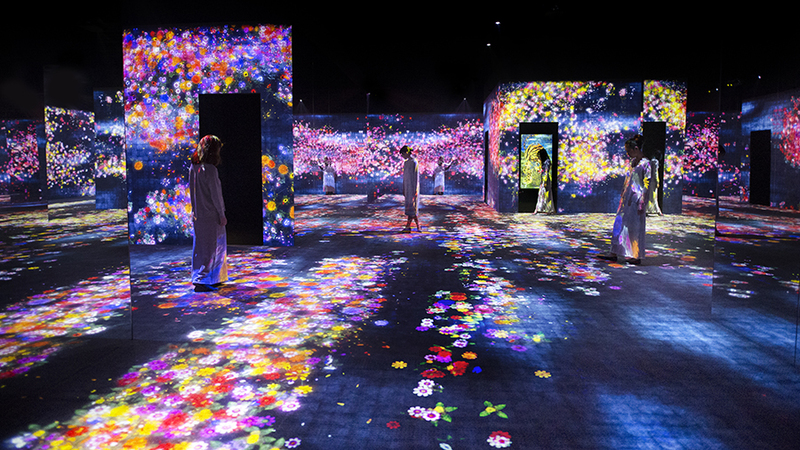 With the aid of nearly 1,000 computers and projectors, along with real time coding, the installations react and respond to visitors, creating a series of shifting and immersive three-dimensional spaces. 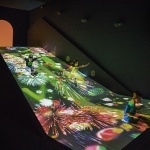 In total, these spaces will hold approximately 50 alterable works. Installations within Borderless, such as Flower Forest and Terraced Rice Field, are designed to encourage visitor exploration across the expansive setting, through spaces of windswept flowers and beneath fabricated lily pads. 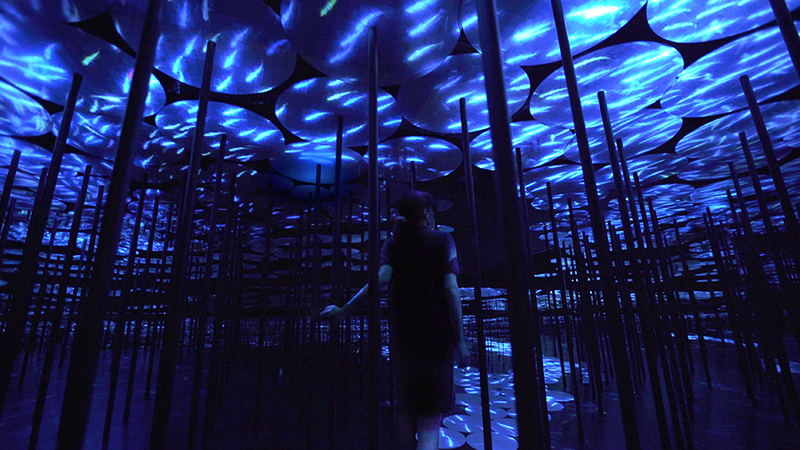 As their own microcosms, the spaces possess illuminated shelters and hidden alcoves. 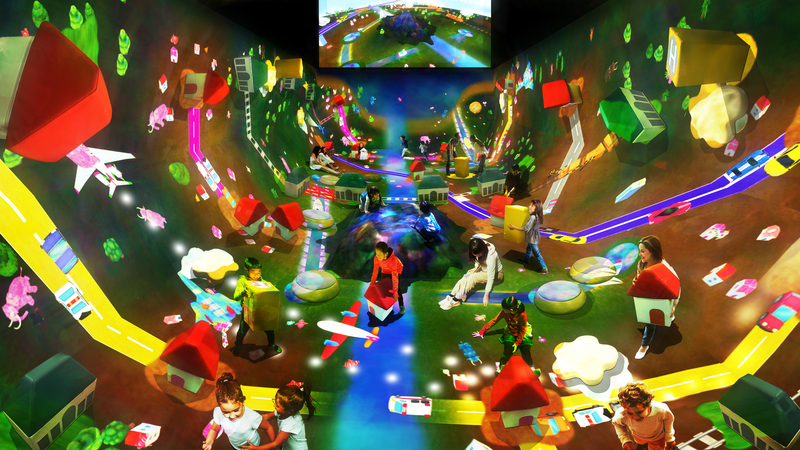 Within the museum, a significant portion of the exhibitions will focus on creative spaces for children that hone their sense of spatial awareness through the navigation of a multi-sensory environment. 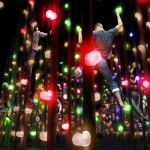 Athletics Forest is composed of slopes, peaks and valleys connected by a series of landscape swings, hanging bars and bouncing surfaces. 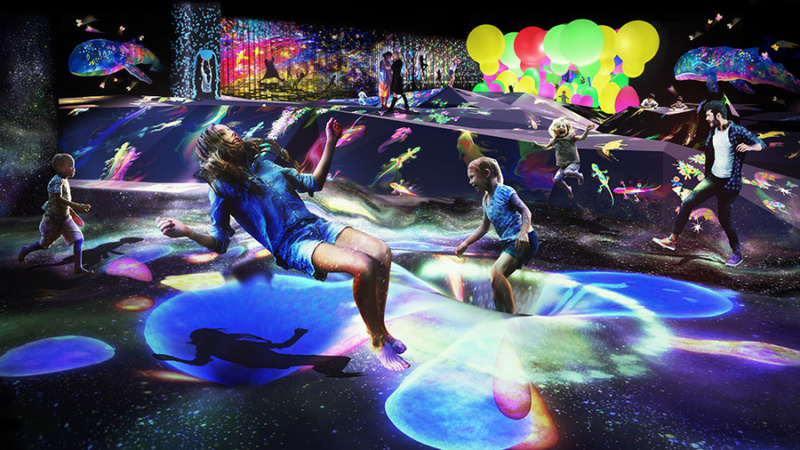 The entire area is illuminated by three-dimensional projections that migrate across the undulating landscape. 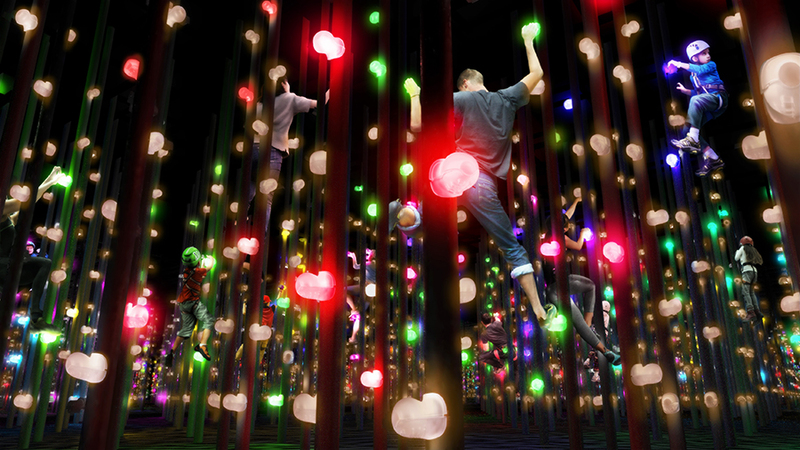 Located at the center of Athletics Forest is Inverted Globe, a townscape with roads, homes and vegetation that defy gravity by clinging to the steep slopes of the landscape. 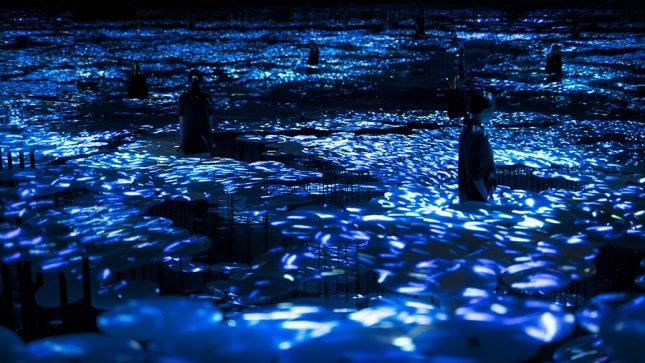 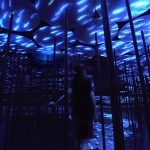 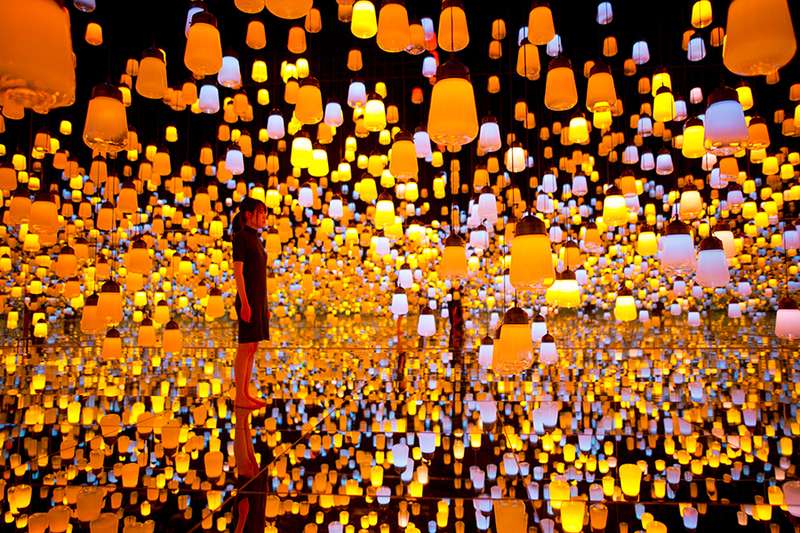 Since the museum’s installations are digital, they can be continually adapted by teamLab to add new features, such as seasonal changes or entirely new landscapes. 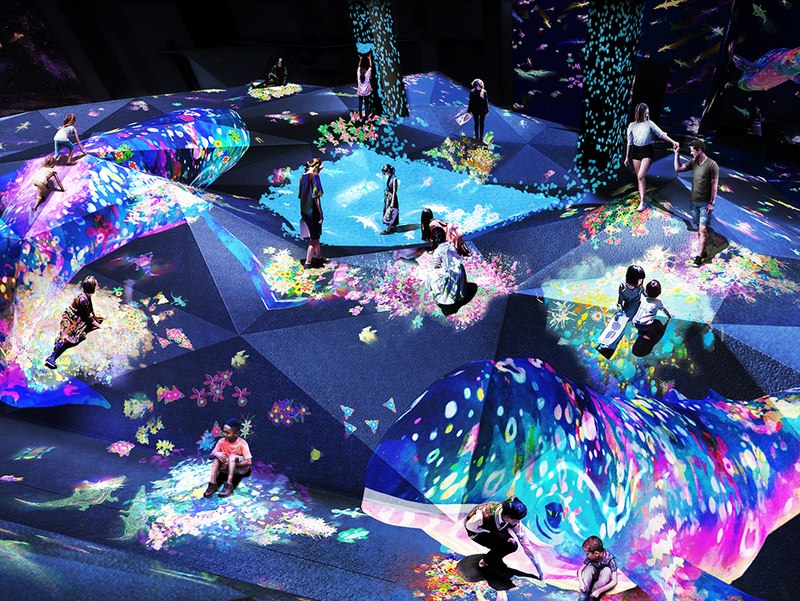 Established in 2001, teamLab is known for their bold public installations and interactive exhibitions that invite participation.